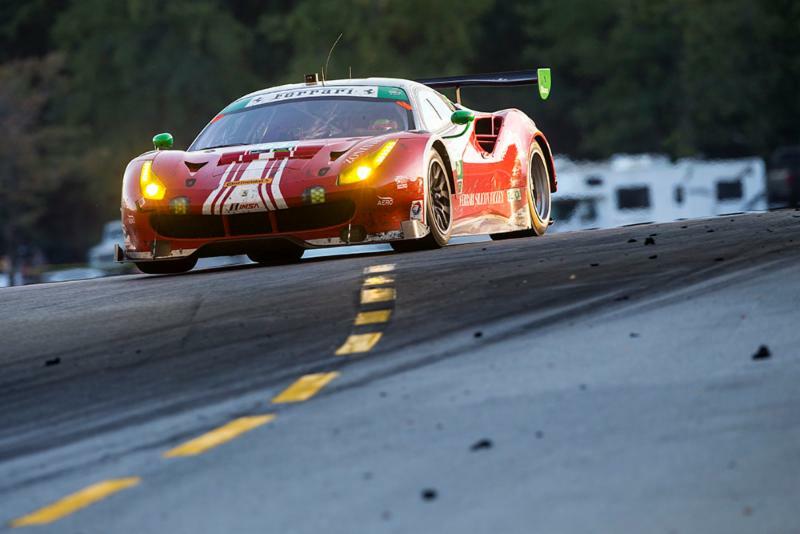 October 1, 2016 (Atlanta, Ga.) – A season’s worth of hard-fought competition has ended with Scuderia Corsa repeating as the GT-Daytona IMSA SportsCar Champions while standing on the podium at Petit Le Mans and strike the seventh podium finish of the year. 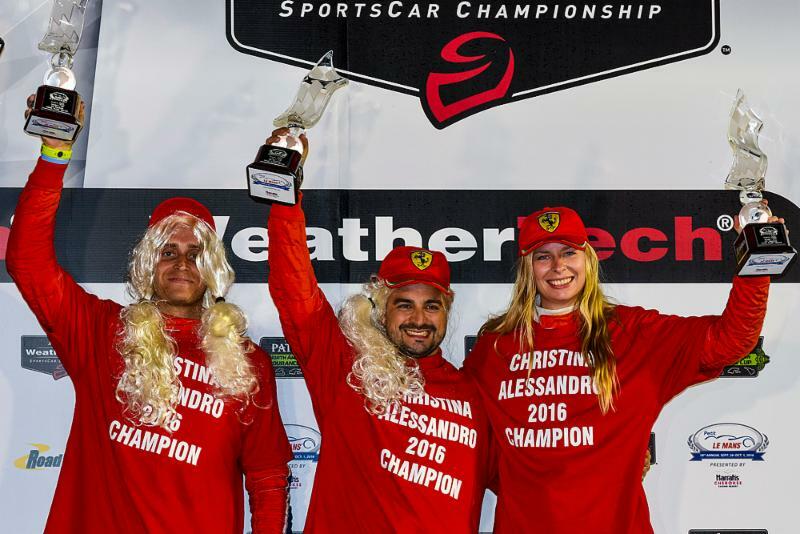 Nielsen’s made history yesterday and become the first female to win a major professional North American sports car Championship. With two victories and five additional podium results, she and Balzan finished the season with 330 points, 27 ahead of the championship runner-up. This is Nielsen’s first championship, Balzan’s second, and the third in four seasons for Scuderia Corsa. Nielsen started the race and, despite some contact and an extremely fast race pace, Nielsen logged her three hours and eight minutes in back to back stints to earn the championship before handing the car over to Jeff Segal. “I was pretty tired when I got out of the car, but I felt great,” said Nielsen. “To be honest, it was a bit mentally draining to be in the car longer than a regular IMSA race distance. The team did a great job of keeping me calm, taking to me, keeping me updated and giving me feedback”. Balzan and Segal deftly rode the crests and drops of the roller coaster running order of the GTD class over the last seven hours of the race. They each drive the N.63 Ferrari 488 GT3 in first place. 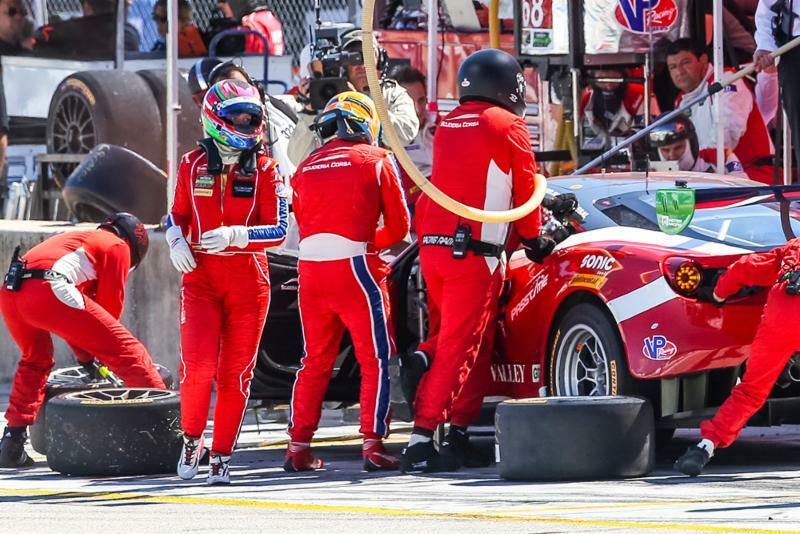 A flat tire just before the last hour mark forced Balzan to eight place at the last hour mark, but he powered through his final stint allowing him and Scuderia Corsa to score third place. “There have been many firsts for me this season,” said Balzan. “I won my first endurance race at Sebring, and then my second one at Watkins Glen. And we did it together – Christina and I were together all season, in oppose to 2013 when I had different teammates and didn’t have the opportunity to share the championship. I feel really lucky to drive with these guys at Scuderia Corsa, to drive the 488 GT3 and to have Christina as a teammate. She did an amazing job all year, and always gave us the car in perfect condition and in a great position! “This day belong to Christina and Alessandro” said Mattioli “they did a fantastic job the entire year. Even today the race was quite difficult, we got hit a couple of times but everybody kept focus and we took home a great podium. Jeff Segal is as close to a ‘sure thing’ as you can get, once again he delivered a strong performance for Scuderia Corsa. To be able to win three Championships in four seasons required very talented, dedicated and hard working individuals, such as Managing Director Roberto Amorosi. Under his supervision, the crew did an amazing job all season”.